Love your vehicles. 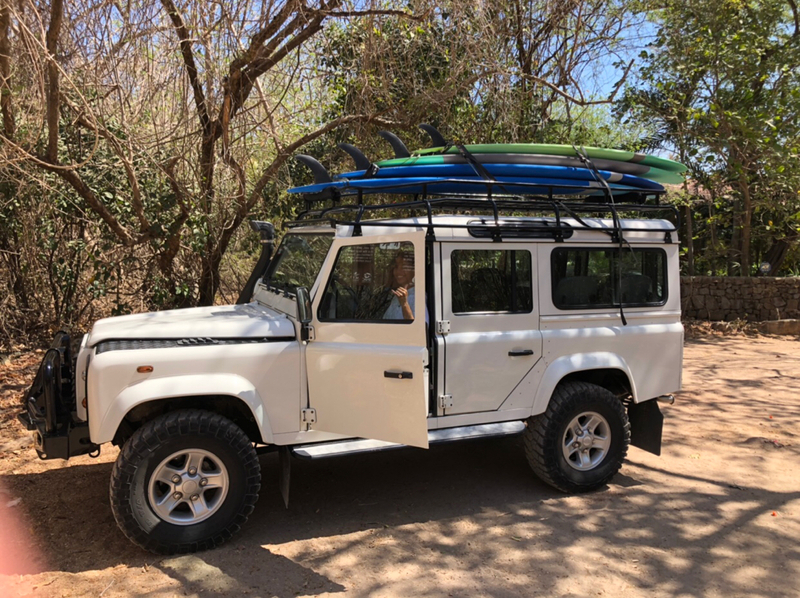 Took a surfing lesson with the family in Costa Rica and was picked up in this beauty. Thought you might enjoy. It was mint, diesel 5-speed. Wish I could import it to US. New clutch and clutch springs with less than 1k on them. Leaking fork, but included in the sale is a non-leaking entire front assembly. Not mine, but it should be someone's. This ad wasn’t on Craigslist but I found it interesting. 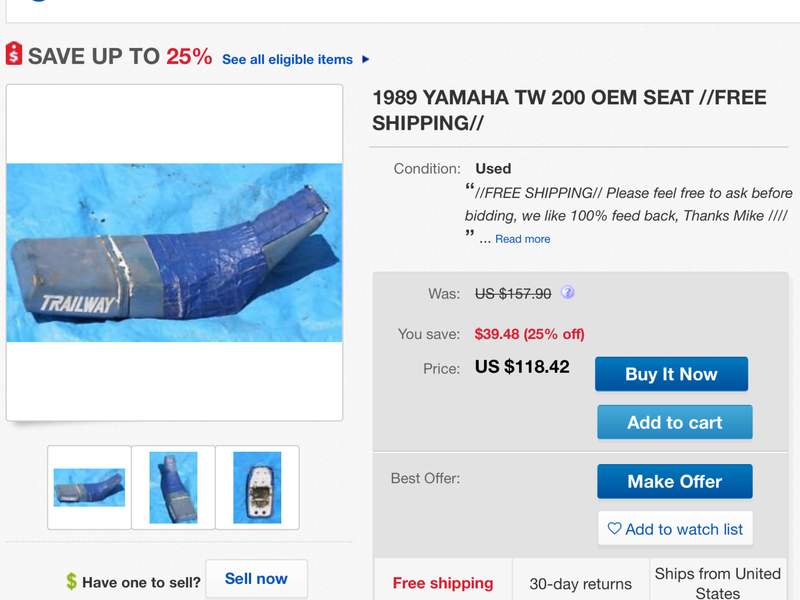 There are a majority of people who sell used motorcycle parts on EBay that seem to think their worn out old crap is worth a fortune. I’m looking for a TW seat pan. Partzilla sells the whole seat for $120.00. 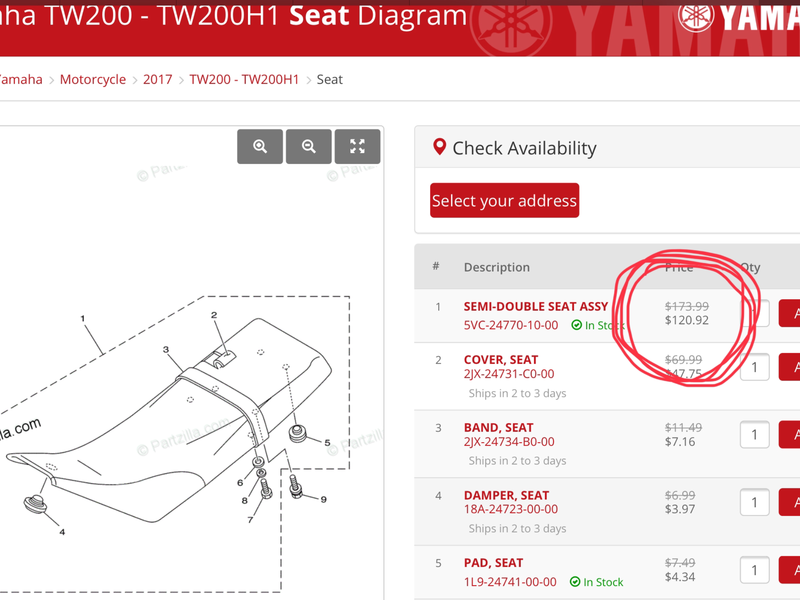 This wingnut wants $118.00 for a ratty 32 year old seat. He’s not alone, it seems used parts are more expensive than new ones on EBay. 1972 Yamaha DT 175, 1974 Kawasaki 125, 1976 Suzuki TM 250, 1979 Yamaha 750, 1977 Husquvarna 360, 1979 Husquvarna 250, (2) 1980 Suzuki RM 400’s, 1971 Husquvarna 400, 1983 Honda V65 Magna, 1987 Suzuki 230 Quad, 1987 TW200, 1990 TW200, 1996 Honda XR 650, 1998 Yamaha 300 King Quad, 2000 Harley Davidson Heritage, 2006 Kawasaki KLX 250s, 2007 Arctic Cat 650 Quad, 2010 Polaris Sportsman 850 Quad, 2006 Yamaha Grizzly 660 Quad, 2002 TW200, 1995 TW200, 2008 TW200, 2016 TW200. We see this all the time and the best answer we can give is "There is a sucker born every minute". I recently purchased a brand new OEM fuel tank for my 1987 BW 350 from partzilla for a little over $300. There is a guy on the auction site selling the same brand new tank now listed at $419. I won't be surprised if some fool buys it because they are too lazy to do a search. That seat is pretty much useless and only worth what ever the pan by itself might bring but it is kind of sad. The 1989 seat cover is the one and only year cover that had Trailway on it instead of just Yamaha like every other year. If that seat cover was in excellent condition a purist bringing back a 1989 would be jumping all over it. It all depends on the year. Some are unavailable, some are more expensive. You’re pricing a 2006 seat. $120 from 2008 to now. Much better if he would throw in Free Trash Removal.